The original patented media that works even when dirty. Savio Springflo Bio Filter Media's performance is unmatched. Unlike the copies, this patented ribbon encourages better adhesion and proliferation of bacteria using a special formulation of polypropylene and calcium carbonate. 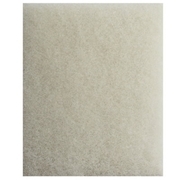 The textured surface is embossed with millions of dimples to rapidly secure and develop beneficial microorganisms. 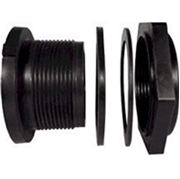 It does not clog and resists channeling and compaction in up-flow and horizontal flow pressure filter chambers. Negative buoyancy keeps it in place. Savio Springflo is easy to clean. Simply shake it and drain the filter. Other media is prone to clogging, requiring rigorous cleaning which disrupts healthy bacteria. 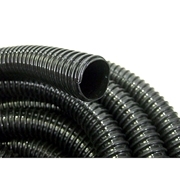 Savio Springflo is very durable, lasting 3-5 years. 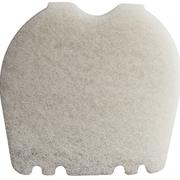 Savio Springflo Bio Filter Media provides enormous surface area while being light and compact. Each roll contains 180 square foot of surface area, suitable for up to 3 cubic feet of filter volume. Easily self dispenses. Simply hold above the filter and start unwinding media from the inside center. It dispenses itself!